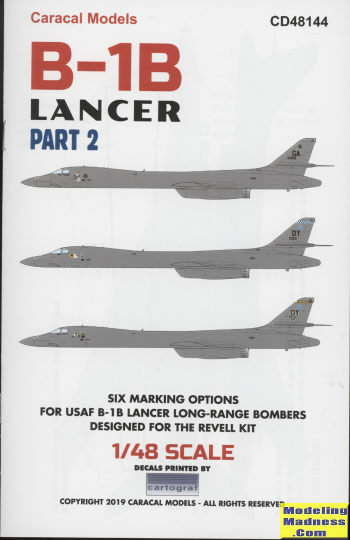 This is Caracal Models' second sheet for the big Revell B-1B. All the planes are in gunship grey overall whih makes them easy to paint, but you'll probably go through two bottles painting it! Typically, the only difference between these planes are the tail markings and nose markings. Six options are on this sheet. Please note that the image above does not show the sheet with the wing walk markings an stencils. 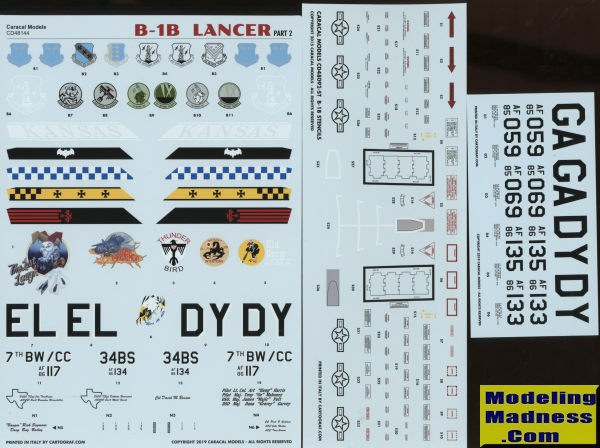 The decals are superbly printed by Cartograf and you have sufficient common markings for one aircraft.